Ever since its evolution, the market of mobile applications has seen growth to an extent because of elevated market penetration of smartphones, growing IoT market, and high usage of mobile apps. According to recent Mobile App Development Market Research Report, “Globally the market for Mobile App Development market is expected to grow at the rate of more than ~14% from 2016 to 2022”. So, if you want to keep pace with this exponential growth of app development market, you need to pick the best platform for your business app. But is it really important to choose a particular platform for a particular app? Off course it is. In this post, I am going to discuss why choosing the right platform for a mobile app development is crucial and what problems you may face for not having the appropriate platform for your application. But before diving into that, let’s first talk about what the common types of mobile applications are. According to ThinkMobiles, native apps are exclusively designed for a single mobile operating system and cannot function across all devices. Thus, they are considered as “native” for a particular platform or device. For example, an Android app can’t be operated on an iPhone. The best things about a native app are its high performance, assurance of flawless user experience, and the accessibility to a broad array of APIs. Mobile web apps can be accessed on a browser and look same as a website. However, they are formatted aptly for a mobile device. Some of them are built especially as mobile websites whereas others are considered as responsive apps, optimized for desktops, smartphones, and tablets. The best thing about a web app is it is stored on the internet and thus do not occupy space on the hard disc. Moreover, there is no compatibility issue associated with such app. Without having the right platform that suits best your app and business needs, you will experience a negative impact on your mobile application and eventually overall business profit. These 5 major factors get affected when you do not have the right platform for your mobile app development. When you are developing an app, you must keep an eye on the consumer market and user experience. If you are trying to make an app just for the iPhone or the Android, let me tell you my friend, this will simply not work when it comes to user experience. Also, if you have the mentality of shrinking an app you have made for the web down to a postage-sized app, this approach will not allow for great user experience. You should make sure that your mobile app is efficient enough in terms of bandwidth use and has the capacity to function across various devices exponentially. You can also keep your app idea same and create native apps for Android, iOS and Windows separately. According to a survey on Mobile and Internet of Things Application Security, around 44% of enterprises are not taking any essential step to protect their apps. Due to minimal budget allocation in developing an app, the security function of that app gets affected. It has been noticed that without adequate budget or oversight, the app threats are not being taken seriously and it can cause of major data breaches to come for mobile applications. Another problem is the slow performance of an app. And the most common reason of an app performing slow is the application or server itself, not the internet connection. To make your app fast and secure, you should choose the right platform for your app development. If you are building a native app, start with a single platform. Do you know why? Because it is comparatively faster to iterate on one native app than two or more. You probably have already given a thought about certain features that your business app should have. But the platform you have chosen to build your app, will that support the features you want to integrate into your app? If the answer is no, then it’s time to step back. If your app development platform cannot be integrated with the features you want your app should have, then no matter how technologically advanced or cost-effective that platform is, there's no point of you to opt for that. Therefore having the detailed knowledge about an app development platform before starting the development process is very important. Do you think that just because a lot of mobile applications are free to download, a good app you can build in a day for the price of dinner? Well, you are mistaken. According to Forbes, “ Instead of investing in buildings, tools and machinery, capital now mostly goes into software. And just as with more traditional forms of commerce, if you want to capture the attention and wallets of customers, your mobile app—must be better and more engaging than the one your competition offers.” But does an app development process involved with the investment of money only? The answer is a big resounding No. When you are not aware of which platform can support your app the best possible way, there's no point to spend money in the development process, because you will get zero ROI. When you have an app for your business, you need to modify, upgrade or completely rebuild (if needed) time to time for making the mobile experience better. If your chosen platform cannot support such backend infrastructure, then your app won’t be able to keep with the ever-changing market. Eventually, its performance will become poor in the real world. The economy of mobile apps is growing. An increasing number of apps become available for users. Therefore, in order to stand ahead of the competitors, you need to use the best methods and the apt platform for developing your business app. Besides having a strong conceptual foundation, proper planning, and top-notch talent, a mobile app requires the right platform to be built flawlessly. A flawless app is safe, functions fast, has various useful features and above all gives great user experience. When you create a great app, don’t forget to upgrade it time to time as needed with a strong backend support. Hope, you have understood, an app development platform can make or mar an app and eventually overall business. So, which platform have you chosen to build your app? Do share with us. We’d love to know. If you have faced any challenge while building an app or felt confused in deciding which platform would be the best for your business app, contact us today. Our expert team of developers and designers will be happy to help you and make you completely hassle-free. Tuhin Bhatt is a co-founder of Intelivita, a leading Web and Mobile App Development Company with offices in the UK and India. He has expertise in Mobile Game, iOS, Android, AR and VR app technologies. 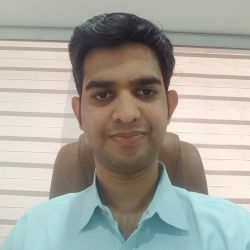 With flawless command over mobile app development, Tuhin also has a passion to share his expertise with clients and other enthusiasts. His write-ups are usually based on Technology, Leadership, and Entrepreneurship.